With slot machines almost anything goes. You would be amazed at some of the games that are being offered these days, and you would be equally surprised to find out how popular many of them are as well. 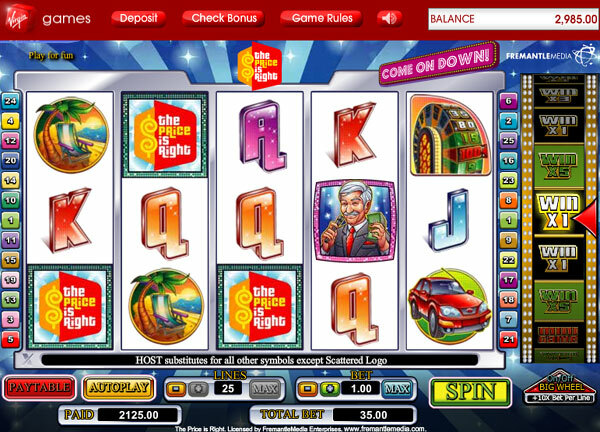 What might seem like an incredibly dumb or out of place idea, or even a theme that has long gone out of its prime has led to big success in the slot machine gaming world. Consider the fact that the Holy Grail game from Monty Python has gotten a lot of attention and this is a concept that we haven’t seen in years. However, even though it is nearing its 40th anniversary this does not mean that they are not still incredibly popular and they come in at 10th place on the list. The Price is Right is another slot machine that is incredibly popular, yet most people stopped watching the show years go. How funny! That doesn’t stop it from coming in at 9th! Another one still popular and coming in at 8th place is the Lord of the Rings. This one is destined to always be in a good place on the list as it still has legions of fans that recognize the brand. In 7th place we have basically anything that has anything to do with Marvel. These superheroes are still popular and do not show any signs of not being any time soon. Sixth place goes to Rocky of all things, for most people if not old enough to have seen the original movies should not have a connection to it. Coming in 5th place is The Hangover, which is not surprising considering that there is a large push of an audience that loves the movie and the second one just came out this past summer. Coming in 4th is the Deal or No Deal which is just as popular as an arcade game as it is as a slot machine. Third place goes to Star Trek – another timeless sort of theme for gamers. Second place goes to Monopoly – a game that has been around longer than most of the gamers out there, and finally first place goes to the Wheel of Fortune. This game is not just popular because people like the game, but rather because of the big pay outs that can come from it.